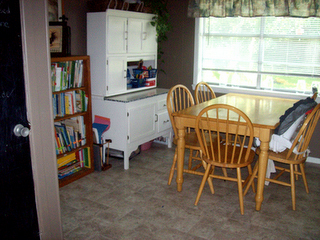 Amy uses a single bookshelf, and a desk with a hutch to keep her dining room schoolroom organized. Her family works at the kitchen table, and she loves being able to see outside. 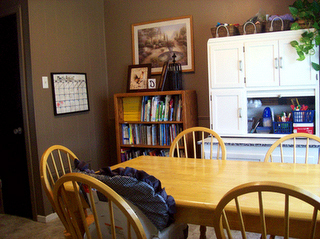 You can learn more about how she organizes her books and desk by visiting Amy's blog.